One of the hardest things about getting in shape is finding something you like to do that burns a decent number of calories. When that isn’t possible, you at least hope to find something you don’t mind doing; something that doesn’t hurt or make you feel uncomfortable. A Cybex Home Arc Trainer can do that for you. While they are more expensive on average in comparison to other types of exercise machines, they are well worth the money—and a recommendation. If I were to base the recommendation on whether I would buy one, I’d have to say no. These things are not cheap. 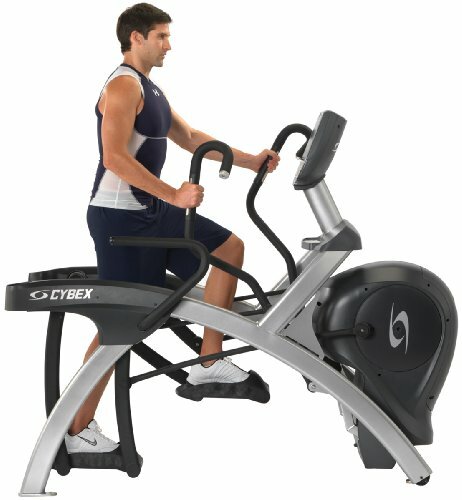 But if the recommendation was based on the functionality of the product, the Cybex Home Arc Trainer is a great product. You will get into shape while using one of these. Thanks to the inability to purchase food it may not take long. But the Cybex Home Arc Trainer is as good as advertised. However, like any product, there are pros and cons to purchasing one. One online retailer had seven reviews for the Cybex 750A Arc Trainer with an average rating of 4.7 stars. On the same site, the Cybex 360A Home Arc Trainer was reviewed 11 times for an average rating of 3.0 stars. TheCybex 750AT Total Body Arc Trainer was reviewed 12 times with an average rating of 4.4 stars. Built to accommodate people with disabilities and those without them. 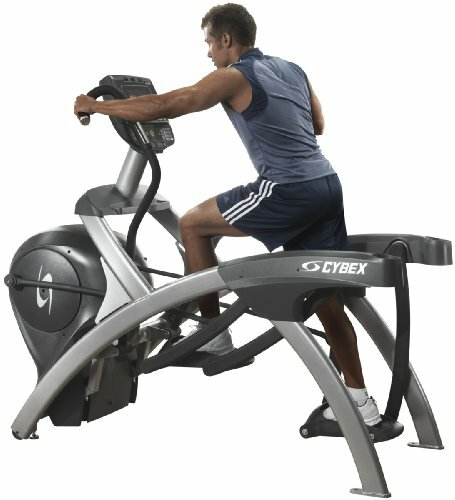 Cybex Home Arc Trainers are unique to the fitness industry in that they are built to accommodate people with physical disabilities and those without them. We don’t often think about people with physical disabilities trying to drop some pounds—but they are people too. People with some kind of disability like to get in better shape just as much as the next guy. It works well for those with cognitive and sensory impairments as well. With the variety of options at your disposal, it’s a good machine for someone with a lot of weight to lose, someone looking to trim a few pounds off, or someone looking to maintain their weight. The Cybex Home Arc Trainer is rated good for people weighing up to 300 lbs. But if you weigh more than that, some of the other models are rated as high as 400 lbs. One of the hardest things about working out when you get older is managing the discomfort in your joints—especially those knees! Old school trainers like to say “no pain, no gain” but pain often means injury. It may not be one at first. But if you don’t listen to your body and think you can power through, you open yourself up to something serious. With how the arc motion works, the toes never move behind the knee. This helps reduce stress on the joints while still allowing for a full range of motion— and a great workout! Nothing kills a new workout out/ fitness goal quite like an injury. But with the relatively low impact that the Cybex Home Arc Trainer has on the body, the risk is minimal. You can never completely get rid of the risk of injury with exercise machines, but with a Cybex Home Arc Trainer, you can certainly minimize the risk. The Cybex Home Arc Trainer combines the best of three popular exercise machines—a skier, elliptical, and a climber. Between the three, users can really get a total body workout that can be as tough as you want it to be when you make use of the resistance settings and incline options. For those in need of a little direction, it comes with 13 preset programs: weight loss, ramps, cardio, strength, endurance, random, calorie goal, interval one, interval two, quick start, hills, manual, and valleys. 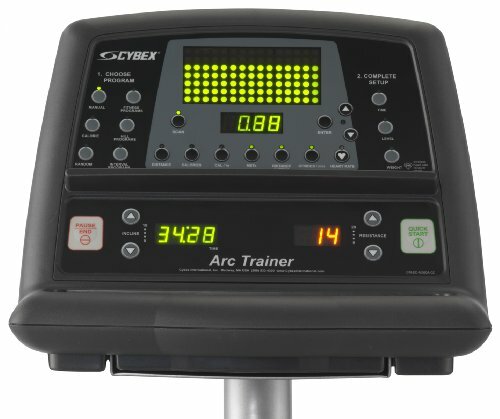 With the number of programs and the different resistance and incline options available to users, there are a plethora of workout options with a Cybex Home Arc Trainer. You’ll only get bored if you don’t switch your routine up. Oh—and it burns 16 percent more calories than an elliptical machine! If that doesn’t sell you on a Cybex Home Arc Trainer, nothing will! If you go with one of the commercial models, there are options on the warranty—residential (five years parts, three years labor), light commercial (three years parts, three years labor), and full commercial (three years parts, one-year labor). All three come with a ten-year warranty for the frame. The home version comes with ten years on the frame, five years for parts, and one year for labor. From what people have said in their reviews, the company is responsive when you want them to honor the warranty. But be prepared to pay for labor after the first year. Overall, it is a pretty good warranty although it would be nice if labor was covered for at least three. 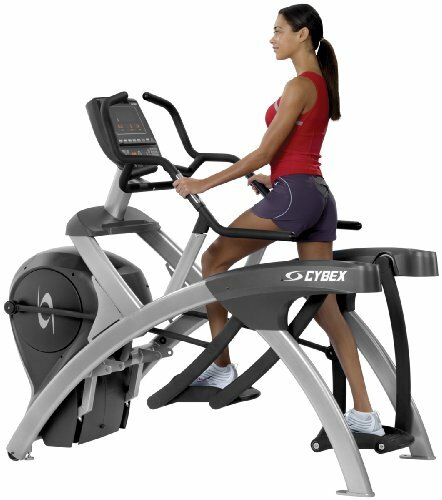 But most products do not come with one as long as what the Cybex Home Arc Trainer has. 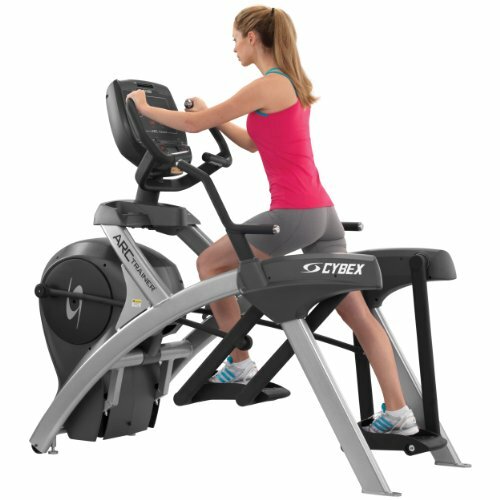 A Cybex Home Arc Trainer can look a little odd when in motion, but they are completely safe to use. The pedals lock into place, so when you are getting onto it, you don’t have to worry about it sliding around on you. 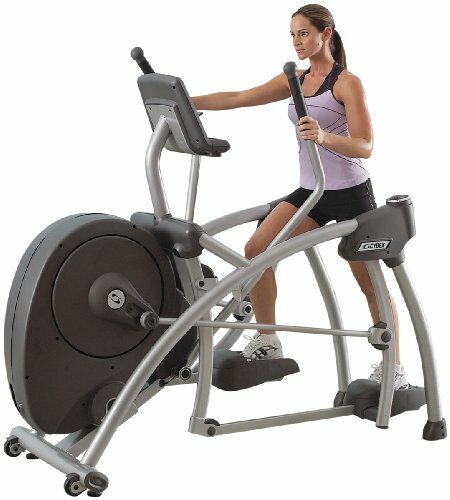 The side handles will help stabilize you as you get on the machine and while in use. A great workout is ultimately what you want, but what does it matter if you injure yourself getting on or off the machine or while it is in use? The cost of exercise machines is going to vary from one distributor to the next. But when you are talking about a piece of specialized equipment, be prepared to spend some money. Add on the fact that it is designed for use by those with special needs as well as those without, and you can expect the price tag to be a little higher. But it is a quality product. So, if you believe that you get what you pay for, you’ll be happy with a Cybex Home Arc Trainer. You’ll be broke, but happy. Most of the models are heavy, contain multiple parts (some of which are heavy in their own right), and some of the parts look very similar. This can make it hard to get organized when you are putting it together and make that whole process pretty challenging. When you get it put together, most of the Cybex Home Arc Trainers will weight upwards of 290 lbs. So, when you are putting it together, you may want to do so where you plan on it being for the long haul. In many of the reviews, people talked about the durability of the product. But there were several that did mention having to get their Cybex Home Arc Trainer worked on often. Luckily, there is a pretty good warranty for parts and the frame, but labor only has one-year. More people talked about using their Arc Trainer for years without having an issue. But there were some that did have problems. Most of the cons related to Cybex Home Arc Trainers in the online reviews are silly and barely worth mentioning. For instance, some complained about the lack of a fan in the display (which some exercise machines do include). The machine does not fold up for easy storage when you are not using it. The magazine rack blocks the data screen. With the amount of money you are going to spend to acquire one of these, you want it to include as many bells and whistles as possible. But if you decide not to buy one because the magazine rack blocks the data screen or because there isn’t a fan built in, you may want to reevaluate how much you really want to work out. 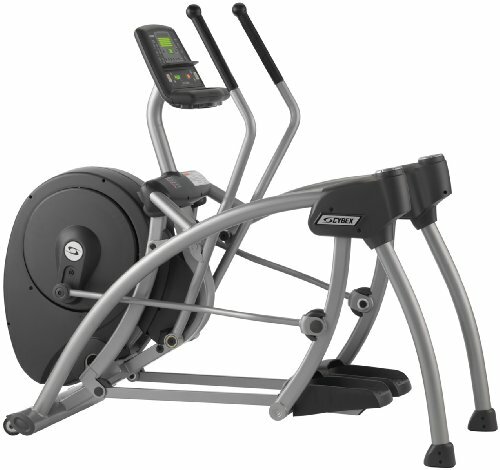 The Cybex Home Arc Trainer is a great product. Even if you don’t have any kind of disability, you have to appreciate how the company designed it for use by those who do as well as those who don’t. People with disabilities are often a forgotten market. But if you are disability-free, that probably doesn’t matter much (if at all) to you. What does is the fact that you can get a great workout on this machine every time you step on to it. One of the hardest things about getting in shape once you get older (anything over 40) can be engaging in rigorous enough activity to burn calories without killing yourself. What good is it to do something if you aren’t going to be able to move for three days? What are you going to do while sitting around thinking about how sore you are (eat!)? A Cybex Home Arc Trainer will allow you to get as good a workout as you want. But not just any old workout—one that is also very easy on the joints. Exercise often isn’t fun. But it really stinks when it hurts. Chances are good that you’ll remain injury-free longer on a Cybex Home Arc Trainer than many other exercise machine options. That means you’ll get into shape sooner rather than later. Paying for one may keep your refrigerator empty for a while. But you’ll get in better shape using one.